My Interview With Lisa Lopez! This month I had the honor of being interviewed by Lisa Lopez – a wonderful network marketing coach. I loved having the opportunity to share some of my best pieces of advice to newcomers in the network marketing industry. In this interview I share my story and what it takes to be super successful in network marketing. This profession has been so great for me and so many others that I care about, it is great to be able to share tips that may help many others just getting started or who have been building for awhile too. Grab a cup of tea and tune in to our interview! This week I am going to talk about having more fun in your business! Thanks to smartphones, tablets and unlimited internet access, we are always connected and can always be working. It is hard to go out to a nice dinner with friends without getting an urgent email or a business call. It’s almost impossible to ignore those tiny notifications lighting up your screen at every hour of the day, but sometimes you absolutely need to. Hard work is the key to success, but in this blog post, I want to remind you and encourage you to have lots of fun with your business, too. It’s easy to tell yourself you simply don’t have time to have fun or to play more, especially if you are driven and hardworking. (like someone I know…) But, taking time to have fun in your business and life is not just an option – it is critically important. We daydream about the life we will live when we have more money, but do you really want to live your life for “Someday”? Have Fun with Your Business, It Will Pay Off. Be sure you start the day in a happy place. Start the day by listing all of the things that you are happy about. For example, you are your own boss and can choose your own hours or list the 5 things that you are grateful for that day. If you are your own boss, that is something that most people only dream about. Chances are, you are living a life that is better than ¾ of the people on this planet and we want to be grateful for that. So write it down and remember what you are grateful for. Then take that optimism to work with you and start to have fun with your business. Don’t take everything so seriously. If someone annoys you, walk away and be glad you aren’t them. When you are on conference calls, be the person that interjects some humor and fun too. One thing I know for sure – gratitude changes everything. Find ways to make the people around you laugh! That’s right. It is the best way to have fun in business. This is especially important when you find yourself slipping into a bad mood (we all get there!). Rather than creating a ripple of tension around you, create a ripple of giggles! Just remember that you don’t need to take everything so personally. If you find yourself stuck in that mindset, maybe you should diffuse tensions by making a joke or something light hearted. Just be silly sometimes! My Mom is one of the funniest people I know. She raised 9 kids and has had her share of ups and downs for sure but she always finds something to laugh about. We were very lucky to be raised by her and I try to remember to be light and to find the humor in things like she does. You don’t have to be the life of the party all the time, but it is fun to make people laugh! Remember to DO something FUN! I know it takes a lot of time and work to build our businesses. But you need to understand that you will NEVER do everything that you need to do. There is just not enough time in the day. So, don’t let your to-do list run your life. Some mornings, you just have to wake up and think about what you WANT to do rather than what you HAVE to do. To have fun in business, you need to take time to do things out of enjoyment rather than necessity. Even if you just take the time to do ONE fun thing a day, you will notice a difference in your mental health and will have more fun with your business! I have a journal practice where I ask myself what am I going to do today just for the fun of it? I can work a lot. My goal for this year is to play more which means I have to schedule the play. Just booked a night to go watch my friend perform Flamenco next week! Make every effort to add some FUN to your work related tasks. To do that, you must consciously decide to add the energy of fun to whatever you need to do. It may help to listen to some of your favorite music while you work or to change up your environment by working in the garden or a local coffee shop. I like to take breaks with my computer at the coffee shop around the corner in my San Francisco neighborhood. Listening to music always lifts my spirits and have to remind myself to turn the music on. Last but not least, remember to dream! I for one love dream boards. I look at mine as I drink my morning cup of tea and think about my plans for the future. It also helps me to start my day off with a sense of fun, peace and success. Dream boards are a great way to get very specific about what you would like to create in your life. There are so many things that have come true from my dream boards! Even my husband and our 3 kids. I have a picture of a very oddly shaped palm tree on a beach on my dream board and when Mark and I were in Tahiti on the beach last year, I looked over at this palm tree near us and it was exactly like the picture on my dream board. There are so many areas of my life that have manifested from my dream boards. Plus, a dream board party is a great way to have some fun, get together with teammates and relax! So if you want to have more fun in your business, keep up the hard work, but also, remember to relax, let loose and enjoy life! Laugh more. When people see how much fun you are having, more people will want to be a part of your team. Hope you are having a great January and your year is off to a great start! P.S. I hope my network marketing tips are of value to you. If you liked this blog post, I think you will love my blog post on my best network marketing tips from 2015! 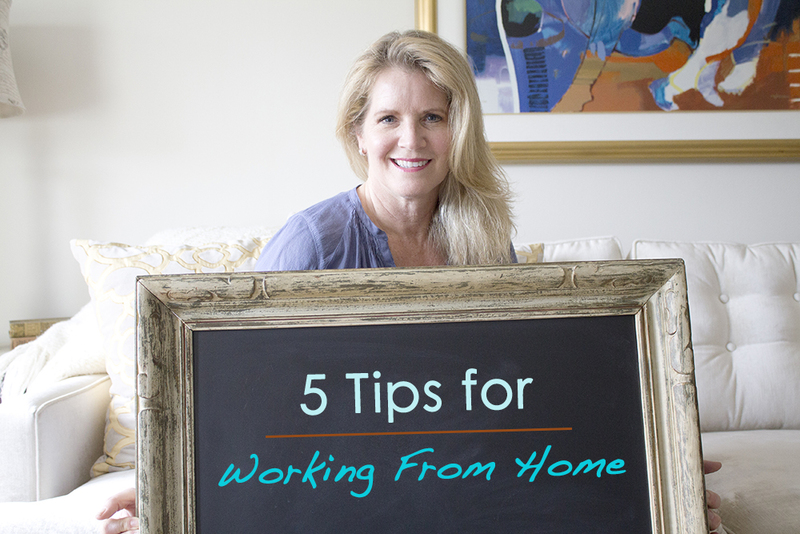 5 Tips For Actually Working at Home! As anyone who works from home knows, it can be quite difficult to stay organized while in your home office. Although there are many advantages (like avoiding rush-hour traffic or being able to go to work in your pajamas) there are some very real challenges. It can be quite strenuous to keep your home office organized and free of distractions, such as household chores, errands, TV, children,spouses and pets. Not necessarily in that order! Here are some tips for working from home so you can stay on track! Especially during the Holidays this can be really challenging, but on the best of days, getting done what you need to in your home based business from your home office is a feat! I love it and I can’t imagine otherwise but it does take focus and discipline too. I haven’t had to drive a commute for 10 years and I can tell you, I do not miss it! 1. Remove the distractions. After all, distractions are the number one reason for being unproductive while working at home. Are you tempted by all the wonderful shows you could watch on TV? Or maybe the washing machine and the dishwasher calls you? And the kids can be a bit demanding too if they are front and center. As much as possible, keep these distractions out of reach. Also, I like to keep my office area clean when working from home, that way I am not distracted by the things that need to be cleaned up. I am someone that needs some order so I often start the day just tidying up my office for a few minute so it “feels good” to me as I am working. 2. Create your own dedicated office space. It is very difficult to stay focused and motivated if you are working in your bedroom or on the couch. It is very important that you dedicate an area in your house to being your office space. Otherwise, it will be very difficult to keep your train of thought on track if you have a number of distractions staring you in the face because you are working on the living room couch or the kitchen table. If you don’t have an actual room for your home office with a door you can shut, then carve out a real space wherever it is and put a sign up for the family that when you are in work mode, they need to wait…Easier said than done, I know but we do train people (even family) how to treat us. It is good for your family to see you focused and accomplishing too. The best way to mentally get yourself into work mode is to create an area that is your dedicated office or space. Make it feel good to you. We spend a lot of time working so enjoy your surroundings whether that is a bouquet of fresh flowers, or your favorite music in the background, create an environment that you enjoy. Simple things really do add up. 3. Keep your office stocked and ready to go. Make sure that you have all the supplies that you need so you don’t have to stop what you are doing to go grab them. I also like to have my favorite teas and healthy snacks stocked so I have something to keep me fueled. Now that you are ready to go, practice setting aside 2 hours a day for dedicated focus time. It is amazing how much you can get done when you power through 2 hours of serious focused time without distractions. 5. Stay connected! Working from home does not mean you have to be isolated. Sometimes people will say they don’t like to work from home because they feel lonely or they miss the friendly banter with people at the office. When we work from home, we need to work harder to create that. Coffee dates and phone calls or quick walks outside can make a big difference. Keeping in touch with your team on a regular basis can fulfill the personal touch we all need too. All of these things will also help you remember that you are not alone on the job and keep you motivated. There are so many advantages to working from home. I love it and truly can’t imagine having to work in an office anymore but if you are new to this, there are some adjustments to make. Whether you are new or not, I hope this article gave you some food for thought. For all of you celebrating Thanksgiving this week, happiest of times with your family. I am grateful for all of you and our community! P.S. I hope my tips on how to make a video are of value to you. If you liked this blog post, I think you will love my blog post on How to Find the Best Prospects! You also may enjoy this additional training about Success Secrets From Top Team Builders from Ray Higdon. 1. REMAIN CALM. I know your to do list may seem overwhelming as your time seems to be shrinking. But don’t let your personal stress affect your work performance or diminish your productivity. Remember to take some time off from work to spend holiday time with family or even get a little shopping out of the way. That way you can have a chance to refresh yourself during the busy holiday season. 2. Make a to-do list. Even though it may seem overwhelming, it will give you a chance to clear your mind and focus on the most important things that need to be. I like to create one giant list then prioritize by importance. I also love using a website called Toodledo. Highlight the tasks you must have completed by the time your family arrives in town to celebrate the holidays. Or, if you have tasks that MUST be done during those days, prioritize what needs to be done, set a time and goal. Do the most important things first! 3. Make a daily plan. If you have a plan for each day of the holiday season, it will help you be more organized. Create a plan so that you can assign work tasks to each day, as well as holiday shopping and travel time. If you have children, it may be a good idea to also think of activities to keep the kids busy and occupied. You won’t be able to get everything done, so make sure you are focused on the top 5 things that will really make a difference. Don’t get bogged down in the busy work. Focus on the “A” level activities. 4. Get a jump on your to do list. Start working on all those year-end projects ahead of time. Even start your holiday shopping earlier than you did in the past. That way you can attend all of the holiday parties and family obligations later in the month, knowing that you have the time and that you are better organized. Make sure you delegate too. My husband always says I have learned the art of delegation. Delegate with a smile and a please and thank you but make sure you are including the people who can help you with tasks. 5. Look out for distractions! They are everywhere during the busy holiday season. When you are setting aside time to work – do that! Let your family know that for the next 3 hours you are off limits. Don’t get distracted by online shopping. That can wait until later. Remember, if you are trying to do too many things at once you will get overwhelmed. Sometimes going to a coffee shop or library can be helpful because there aren’t as many things to pull you away from productivity. It can be a nice break in the day too. 6. Create boundaries. If you set aside time to work, make sure that everyone in your family knows that it is your time and that you should not be disturbed unless it is an absolute emergency. Put your phone on silent so that you are not tempted to answer the phone. On the other hand, if you set aside time to spend with your children, parents or other loved ones – don’t get distracted by work! Family time is especially sacred during the holiday season and should be one of your major commitments. Make sure to put the phone down during these times. We are setting examples for our kids and loved ones. 7. Take care of yourself! Remember to take care of yourself both physically and mentally. Try to exercise more this holiday season – don’t let your to do list take away from your normal routine. Also sleep more, not less so you have the energy to deal with everything you have to do during the day. Finally, watch what you eat and drink. Everyone eats more sugary foods and alcoholic beverages during the holiday season, but remember those will impact your next day at work, both mentally and physically. This one is hard, I know! Often we get sick in January because of how much we “overdid” in December. If we take better care of ourselves in December, we can usually avoid the January blahs. 8. Don’t over commit yourself. It is all right if you cannot make every holiday party or function. Your friends will forgive you! Just be sure to prioritize and balance your holiday activities with your work obligations. In the long run it is better to keep focused and maintain a good work-life balance. 9. Remind yourself each morning to stay focused at work. Forget about all you have to do and focus on each day’s obligations. Make sure that when you are working, you are focused on the tasks that have to be done, and not thinking about what you have to do in the near future. I like to wake up with a cup of tea and look over my to do list. This really gets me in the right mindset for productivity. When you are at the actual holiday function then you can focus on the holidays and having fun! 10. Remember what the holiday season is about – celebration and spending time with friends and family! It is one of the happiest times of the year and does not have to be chaotic, even though there are lots of pulls for it to be that – it is what we make of it! Enjoy the simple things. Your decorated house or your kids happy faces when they find the perfect gift, baking, the first snow, the way the light changes at night…. The list goes on and on. I love the holidays and have learned over the years, that less is more. We don’t have to make the 30 kinds of cookies we did when we were kids. Think about your holiday traditions and continue to do the ones you only really love! I truly hope these tips on how to stay focused will make this season less stressful. You got this. 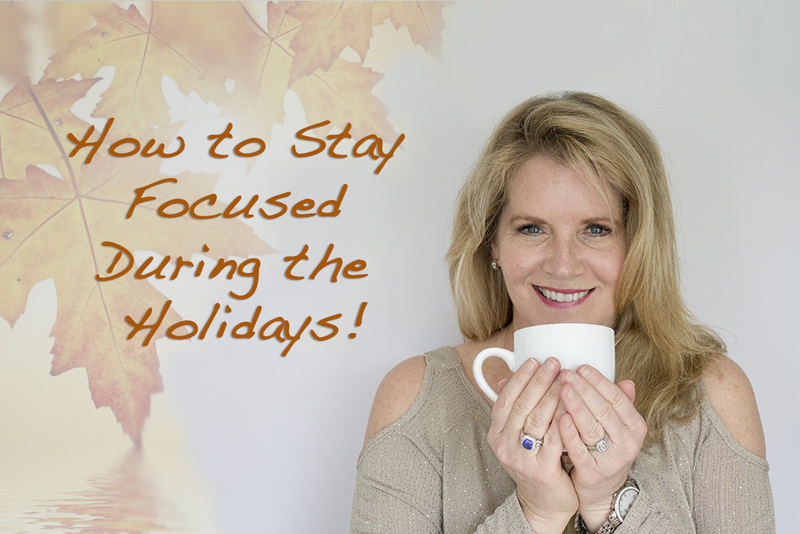 Follow these tips and I am confident you will focus on your work during the busy holiday season! The holiday gatherings are a perfect place to share your products and business with lots of people that you don’t see all the time too. Just be sure to ask questions, provoke curiosity so that they are actually asking you what you are up to! Most of all, enjoy this precious time with your family and friends. P.S. I hope my tips on how to make a video are of value to you. If you liked this blog post, I think you will love my blog post on changing your daily routine to become a top earner! You also may enjoy this additional training about Success Secrets From Top Team Builders from Ray Higdon. 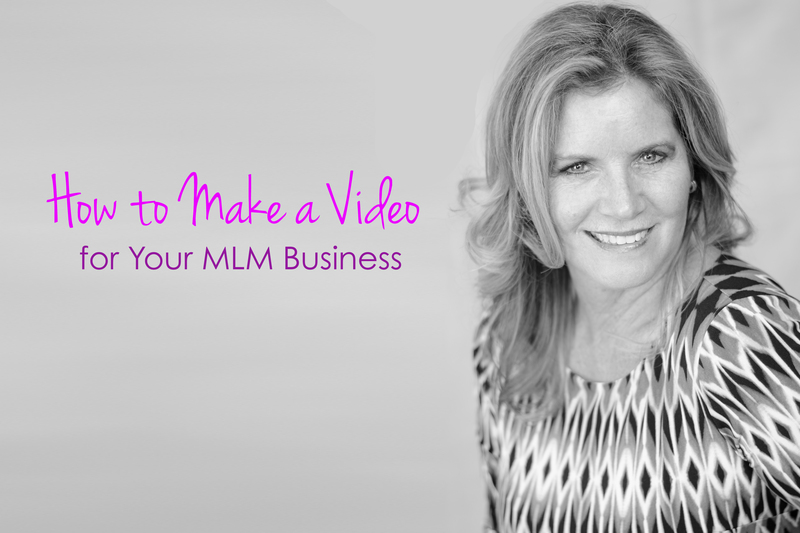 Videos are a great way to build a network marketing team, however, I like most of us struggle to do them! Very few of us like seeing ourselves on camera and we try to make things “perfect”. However, sometimes you just have to push past what makes you uncomfortable and do what will reach the widest audience. After all, the field of video marketing is not going anywhere but up. It’s necessary if you want to generate more leads in a shorter period of time. In this week’s blog, I will provide a few simple tips for generating more leads from videos. I will also show you how to make a video that is engaging and share some tools I use that make the process easier. Why Are Videos So Important to Your Business? Videos are great for 3 main reasons. First, they are a great way to reach new prospects. You can share benefits of your business or the product you are selling in a more personal way. Videos uploaded directly to Facebook have very high view and engagement rates, so you are more likely to reach potential leads by sharing a great video. You can also post your videos to Youtube which is the second most used search engine in the world. Creating great content will naturally bring interested prospects. And it is like with anything, the more you do videos, the more consistent you are, the more great content you provide – the more people will find you. Videos more than any other tool help us to be seen as an “expert”. Second, videos are a great way for people to get to know you. You want to ATTRACT people to you. People will get a glimpse of your personality and your enthusiasm for your business. People actually feel like they know us when they watch us on videos. This is great because you may have team members all over the world and you may not be able to do individual video chats all the time. Video allows you to share your message and energy with thousands and thousands of people. Third, and most importantly, videos are great training tools for your team. Remember, duplication is key. Any time a tool can be reshared with a new prospect, helps them start building their business faster = more money in your wallet and theirs. Start creating a library of videos that your team can refer and can use to train people they get to join. Everyone Can Make a Video…Yes, Even YOU! I wouldn’t consider myself “tech-y”, but even I have managed to create lots of videos! I am going to walk you through my video-making process and at the end, I want you to try making your own video! First off, you will need a way to record yourself! I like to use my laptop. My favorite recording tool is Screenflow because it allows you to record anything happening on your computer screen, as well as the audio. This is extremely valuable because you can record live webinars or meetings you are hosting online. You can also record right from the camera on your laptop. Screenflow is a great option for PC and Mac users, but if you have a Mac, you can also use Photo Booth. You can also use your smart phone. Use what is natural and easy for you, otherwise it will become a chore. If you do use your iPhone, I would suggest investing in a mini tripod so the video is not shaky. Pro tip: make sure you have a well lit room! Otherwise the video will look grainy. The best videos are conversational. It may take you a few tries, but just talk how you would to a friend you met for coffee. Write down key points you want to discuss in the video, but don’t read a full script. If you do, you will sound robotic. Your quirky personality traits really make a video shine, which almost seems counter intuitive at first. Just be yourself! If you find yourself getting nervous, just remember, it’s just a video and it won’t bite you 😉 We are often more critical of ourselves, especially our appearance, but other people are watching to hear what you have to say. They aren’t focusing on your mascara or hair cut. Believe me, we are our own worst critics! I have taken 10 takes to do a simple little video and then finally got to the point, where I said enough! Good enough not perfect is good enough! Once you have recorded your video, you can post it on Youtube or Facebook. If you want to create a more advanced video, you can add a title page and audio using a video editing program, like iMovie for Mac. You can also pay $5-$25 on Fiverr and have a professional help you add that to the video for you. If your business is well established, I would suggest adding these elements. Here is an example below of what I mean by a title page. By using these tips and tools, even I have created great videos. Although it was hard to get over my fear of technology and recording myself, I pushed through it and it was worth it. In the past few months, the traffic to my website has increased exponentially. Now I am challenging you! Make your first or a new video and post a link in the comments section! 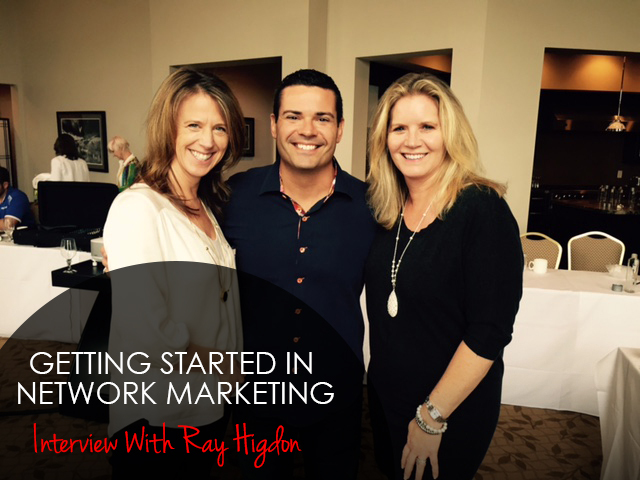 I was honored to be interviewed last month by legendary Ray Higdon – Network Marketing Top Earner and Coach. During our interview, I shared some of my best tips to help people who are getting started in the network marketing industry. By sharing my personal experiences, I hope I offered insight into the mlm world and how it is different from the work environment people experience in the corporate world. We also discussed the most important things you need to do when getting started in network marketing. Here are some of the highlights from our interview that I KNOW can make your business more successful! 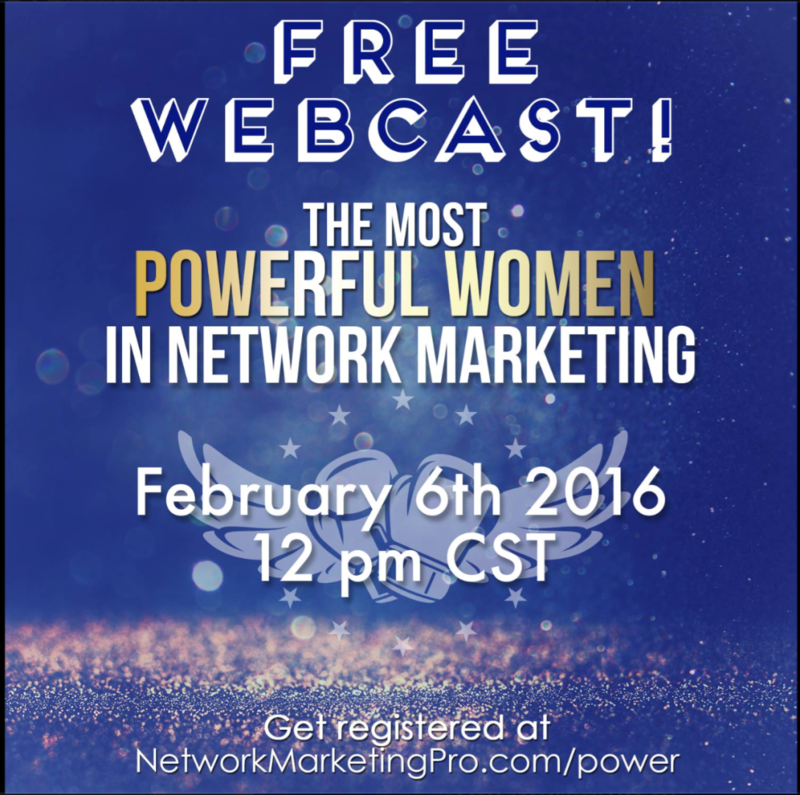 Network Marketing Tips from the Pros! The key to the network marketing business is consistency. I love the saying, “Consistent action over time will create extraordinary results.” The activities we have to do to build this business, they are simple. They’re not easy, but they are simple. If you just keep doing the activities and learn the skill set, sooner or later you will be successful in network marketing. The art of inviting, how to close, how to lead people to a decision, how to run a one-on-on, how to host a home party, how to create a following on Facebook and social media – these are skills you need to learn. It’s like learning a language. The best way to learn a new language is to jump in and immerse yourself. In this industry, you don’t have to take a test. You don’t have to worry about getting ready to get ready. That’s one thing I see a lot of people do. They think they need to learn everything and study before they go out and talk to people. It’s ok to start talking to people literally minutes after you’ve just heard about it. You can say to the person, “I just came across this and I am really excited about this. Are you open to learning about it?” And then point them to a tool. Become a professional pointer of tools. Be consistent. I encourage people to spend at least 5 to 10 hours a week working consistently. You need to be the employee you want to give the raise to; the one that you would never fire. Would you hire you? Would you give you a raise? Coming in and out of your business is slow and a painful way to get this going. Success loves speed. Momentum happens when you give this bursts of energy and time. For those who have about 10 people on their team so far…Do you have a running buddy yet? Find a good partner and work with them to help get them going. Then just keep talking to people. This is a sifting and sorting business. There are lots of people you will attract when you have a good product. There are a lot of people who you will attract that want to be customers. We all love our customers, and you are looking for the person who is asking the right questions. You are looking for a people person – someone that is a connector. You are looking for the person who says, “I get this. I am interested. I want to learn more about it!” It takes a handful of running buddies to get your business going. You may have to talk to 200 people to enroll 40 people. If you sponsor 40, the way the law of averages usually works, you will have your handful to run with. You can change your lives and many others with that handful of partners. It takes time to find your real running partners. I truly love the lifestyle of network marketing. In the corporate world, you are trained to leave your personal life at home. In this industry the more personal and genuine you are, the more successful you will be. Last tip here: Bring your personality to your network marketing business! P.S. I hope these network marketing tips are of value to you. If you liked this blog post, I think you will love my blog post on changing your daily routine to become a top earner! You also may enjoy this additional training about Success Secrets From Top Team Builders from Ray Higdon. Throughout my career, there have been times when it seemed easier to quit than to keep going. Sometimes, the amount of work it takes to get where you want to go can just seem too much. There were times when I felt envious of my friends that were going to cocktail hours and relaxing at home watching TV when I was working. Night after night of home parties was exhausting at times. There is a tradeoff to get what you really want. You have to give in on something in order to really go for what you want. Sometimes it can feel like things aren’t working out and there is nothing you can do about them. I am here to tell you, when things get hard, don’t give up! Life is about “failing” and learning. And I say “failing” in quotes, because honestly there are no real failures, just lessons. Just a chance to do better next time. The most successful people, fail forward. Follow your dreams and never give up on them. 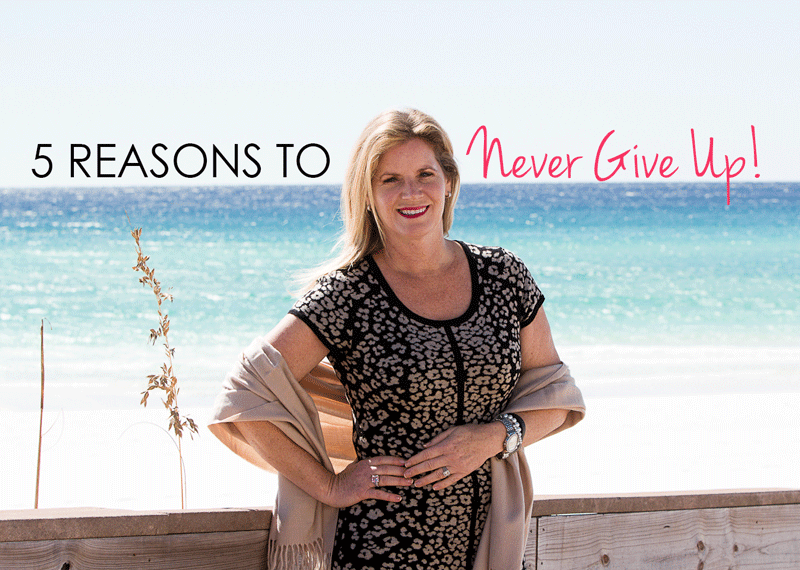 Here are 5 reasons to never give up on your dreams that have helped me in times of doubt. 1. Failure is a part of life. Understanding this can be a great motivation to never give up on your dreams. If you find you are failing at certain aspects of your business, don’t panic. Failure is a learning experience. It’s how we figure out what to improve on. Some people stop dead in their tracks when pursuing their dreams because they are so afraid of failure. Don’t be one of them. The worst thing that can happen is you find out that technique or that closing or that approach didn’t work so well. So you fine tune it and you are better the next time. 2. You don’t want to spend your life wondering…”what if?” We only have one life to live, don’t reach the end of it wishing you had followed your dreams. If you have always wanted to be a rockstar, then pick up a guitar and start taking lessons. Your life will be better because of it. It helps to really narrow down your dreams and describe them in detail. Starting is often the hardest part! By breaking your dreams down into smaller goals, you can work your way to the top. Think about what you would say to your kids about their dreams. Of course, you would tell them to go for it. Treat yourself the same way. 3. What doesn’t kill you makes you stronger, as the saying goes. One way to never give up on your dreams is to keep pushing. Stay persistent and it will give you strength. Take riding a bike for example. It is one thing most of us learn to do as children (and one of the most painful, lol.) It takes us several tries and scraped knees, but at the end of the day we become stronger for it and more likely to succeed in our next venture. Sometimes, life can throw you too many curve balls at once and you can feel like, okay, I have enough character already but it is true, it all does weave together to become our story, to be a part of our journey. Never take for granted or assume you know what someone else has been through. It is amazing when we really take the time to listen to an older person’s life story, how much challenge and hardship there has usually been mixed in with all the good things. If you were 90 years old, what would you say today to your younger self? What would you want the younger you to do? 4. It’s about the journey, not the destination. How many people do you know that went to college for one subject, but then ended up working in a totally unrelated field? When you have a dream, it can lead you to new dreams. By pursuing our dreams, we learn more about ourselves and what we really want. If we never try, we not only never know if we could do it, we lose all of the growth that happens along the way. My very favorite part of the network marketing profession is the personal development that happens along the way. Proof that the journey is the best part. Achieving a rank is great, but who did you become in the process of getting there? 5. Your dreams inspire others! This is so important in the network marketing profession. By never giving up on my dream to reach one of the highest ranks in my company, I know I have inspired many people who are now very valuable team members. People want to work with leaders who inspire them. Who set the example. When you share your dreams with your team, then they in turn are encouraged to share theirs. You never know what sharing your story will mean to someone sitting in the audience. Someone may come up to you years later and say that the day you spoke, they made a decision that changed their life. Our words, our examples, our stories are so incredibly powerful. Never take for granted how meaningful it is to dream your dreams AND to go for them. One foot in front of the other. People really are watching! I hope this has give you more reason to never give up on your dreams! If you ever get discouraged or start feeling negative, use one of my favorite tricks. Take a pencil and a piece of paper and write down dreams you are thankful for that you have accomplished. Think of how you felt when you achieved that dream and let the negativity slowly melt away. Keep on dreaming and don’t forget…NEVER GIVE UP! P.S. I hope these network marketing tips are of value to you. If you liked my post on following your dreams, I think you will love my blog post on generosity! You also may enjoy this additional training about Success Secrets From Top Team Builders. 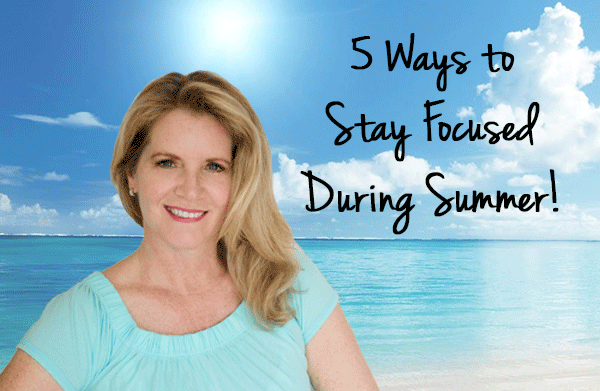 5 Ways to Stay Focused During Summer! Wondering How to Stay Focused When the Beach is Calling You? Working through the summer months can be very challenging, especially when you are running your own business! With kids out of school, and vacations right around the corner, it can be hard to stay focused on working. Instead of getting distracted with all the fun things these sun-filled summer months have to offer, make this work in your favor. Over the years I got creative to make my vacations and life work for my business. Now I get to enjoy a booming business and the BBQs and trips to the beach all at the same time. 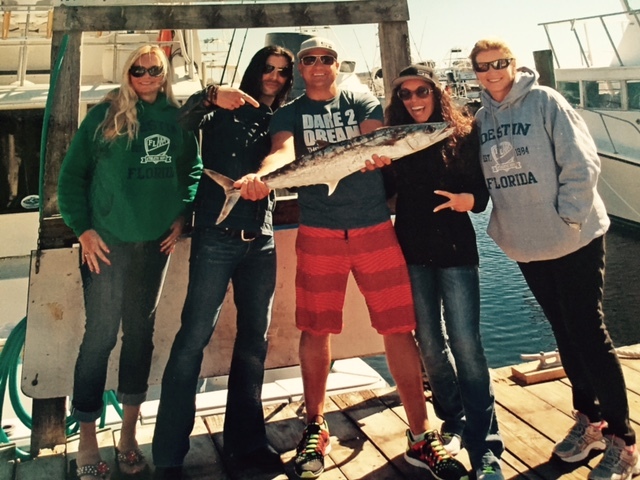 Here are My Best Tips to Help You Stay Focused When the Beach is Calling You! 1. The sun is shining, birds are chirping and you….well, you need to make phone calls! One trick I found was getting a good quality headset for my phone so I could take walks and make calls at the same time. I always bring a small notepad and pen in my pocket just in case I really need to jot something down. Or I just send myself a text message right away. You never know, the fresh air could inspire your next big idea. Stay focused by working while enjoying the things you want to do! It is a good idea to take hourly stretch or walking breaks. I have been known to sit at the computer for hours on end – it isn’t easy to push away but better for our bodies and mental clarity when we do! 2. Make sure you have enough energy! There can be a lot going on during the summer as far as events go, so budget your day wisely and make sure you get rest. We live in a sleep deprived culture. If you aren’t getting at least 7 hours sleep a night, then you are prematurely aging yourself. I am not an early to bed, early to rise kind of person but I do most nights get at least 7 1/2 hours. Start your day off with a good breakfast, vitamins and maybe a strong cup of coffee! Think about what the word breakfast means: you are breaking the fast and jump starting your metabolism. Set a goal to eat within 30 minutes of getting up in the morning. If you fuel your body with what it needs, it will provide you with stamina to get your work done AND have fun. Meeting new people while on a trip to Florida! 3. Social events like picnics, family reunions, bbq’s, birthday parties and swim club parties are a great place to network and talk about your business and attract new team members. Be READY to talk about your business. Stock up on business cards that you can hand out when you are attending fun summer events. DO NOT oversell, or be too pushy with people – they are there to relax! Keep the conversation light, but highlight a few key points about your business. When someone asks you how you are or someone asks you what you do, be enthusiastic about how you have found a better way and how much you love having your own business! Let them know about what amazing things your business is allowing you to do. That will speak for itself! Keep cards and samples handy so you can connect. If your company has great before and after pics, know how to get to that link quickly so you can flash them on your smart phone while you are chatting with someone. And don’t wait too long before reaching out to follow up with people. Your speed in getting back to them will prove to them that you are serious and professional. 4. Don’t think you have to skip vacations to keep up with work! Stay focused and know that you can make your trips work for you. Talk to as many new people as you can and get the chance to know them. Networking is important in any industry and can often be easier when you have mai tais in hand. People are also more relaxed and open to having conversations, just always remember to keep it light. That person sitting next to you on the chaise lounge may become your best friend and best business partner. 5. Stay focused during summer by fine tuning your time management. Keep everything on a calendar and make sure you are giving yourself enough time to complete your tasks. This is especially important if you have kids since they will be out of school and have a lot of free time. Good thing teenagers sleep in because that is when I get a lot done! If you are working from home and need some dedicated quiet time, try to find a great summer camp that your kids will love. Sometimes when the kids are home, I also take a “work break” by walking down to the local coffee shop. The kids get to stay home and I get to focus and dig in for a couple hours. If your kids are young, then schedule some play dates with other parents so you have a few extra hours a week to work. You can also stay focused while on the go by sending out a few emails or making some calls while waiting for your kids to get out of practice. Always think of how you can multitask your way to success! 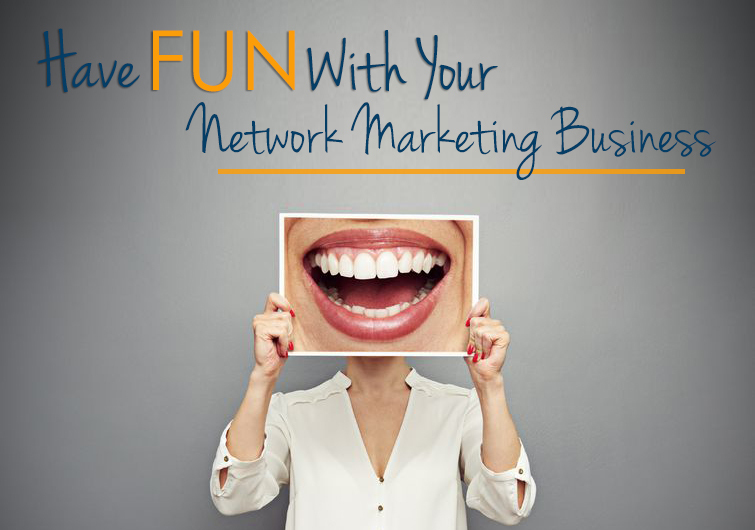 You really can build your network marketing business in the nooks and crannies of your day! In the summer, it feels even more important to be focused on the A level activities. You know the ones that make your bank account happy! 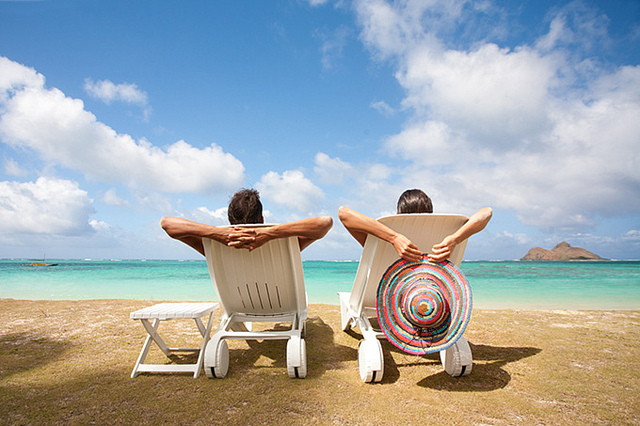 I hope these tips help you navigate your work life during the tempting summer months! I always keep in mind that my hard work DOES pay off and helps keep my business booming. Summer vacations are a blast. I hope you enjoy yours to the fullest. Next week, my husband and I get to go to Tahiti for 10 days with our network marketing company. I won’t be working much during this vacation but I do plan to bring my iPad to take advantage of the down time to work on my presentation for Eric and Marina Worre’s first annual “The Most Powerful Women in Network Marketing History” event that takes place in August this summer. You should take a serious look at attending this event. The line up of speakers is amazing and I am honored and humbled to be included on this list. Have a great week! Here is the link to check out the big event in August. It would be great to see you there. I hope these network marketing tips are of value to you. You may find this blog post – Network Marketing Tip: Creating Your Dream Life – helpful too! Here you can find additional training, “Straight Talk on Fear and Procrastination“, that can really help you with procrastination. If you learned something in this article, share it on Facebook! Also, comment with your thoughts below. The other week, my top leaders and I did a series of calls with our team, and what kept coming up was the importance of having the right mindset for business success. The biggest thing that holds people back from the results they desire is a limiting mindset. 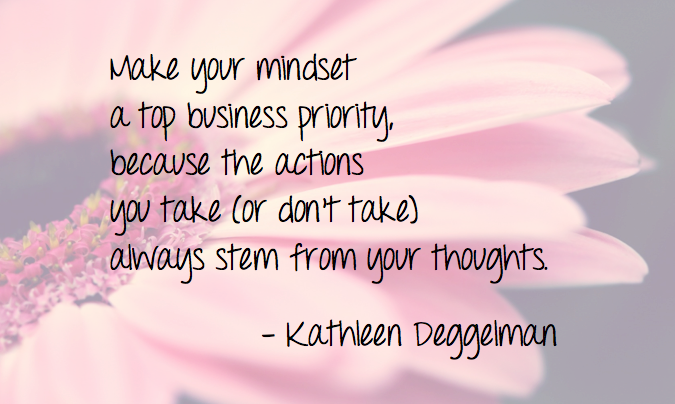 Consider improving your mindset for business TOP priority, because the actions you take (or don’t take) always stem from your thoughts. I pulled an inspiration card (part of my daily success routine) and the picture on it was a butterfly! Astounded, I shuffled through the deck and counted eight butterflies in the cards. For the first time, I noticed my hand lotion – that I use every day – had a butterfly on the label. On my walk, I saw a giant wooden butterfly on the side of a neighbor’s house. Something caught my eye and, when I looked up, I saw a sweet little butterfly at the top of a tall tree. At the movies that night, about twenty butterflies flew across the screen during a pre-flick advertisement. What does this have to do with your mindset for business? Everything! What you look for, you find. So what are you focusing on? Negative people with every objection in the world? Or successful people who are attracted to your products and your business? Make a decision now to intentionally look for what you want. Part of having an empowering mindset for business is listening to your intuition. Call it Spirit, the Universe, or God – whatever speaks to your spiritual connection – the divine has a way of whispering messages to you. The question is are you listening? I learned this the hard way a few years ago. I had been receiving messages not to go through with a particular investment – I had a strange feeling in my gut whenever I thought about it, and a couple people even warned me this was not a person to invest with. I went through with the investment anyway, though, and ended up losing a lot of money. Now, I listen to those divine nudges! When developing your mindset for business, pay attention to the subtle messages the Universe sends you. If an old friend’s name pops in your head out of the blue, perhaps you might give her a call. If you hear a book title repeated numerous times throughout the week, that book might just have the exact lesson in mindset for business you need. Cultivating a success mindset for business means understanding that you create your experience when you speak your intentions. Create a habit of setting an intention each morning for what you want to happen during the day. Solidify your mindset for business intentions by asking for people to show up who are enthusiastic about your product and company. Expect to receive what you ask for, and be grateful in advance. The spoken word is a potent creative force, and affirmations are a powerful form of intention. Here are some of my favorite affirmations (feel free to borrow them)! Is Your Mindset for Business Geared Toward Success? Here’s the good and bad news: YOU are the only one holding you back. What are you doing each day to develop your mindset for business success?